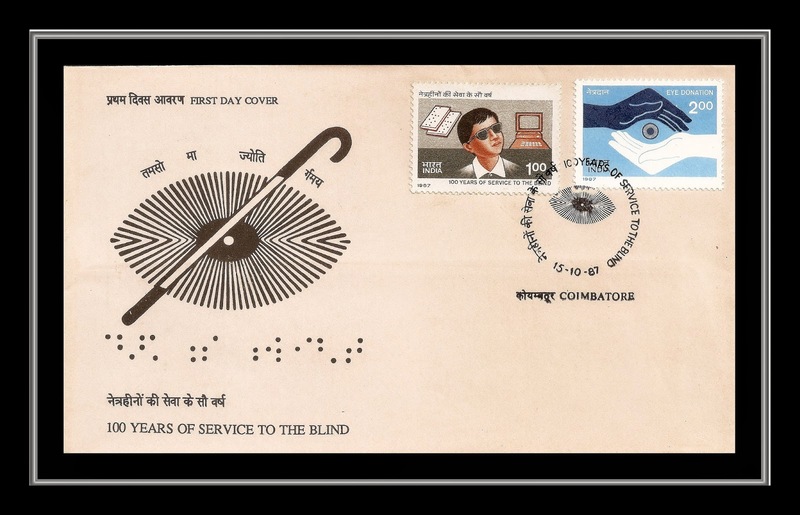 A set of 2 stamps were released by the Department of Posts on 15.10.1987 to feature the Centenary of Service to the Blind. The First Day Cover (FDC) has the motto : “तमसो मा ज्योतिर्गमय” - (tamaso mā jyotir gamaya) meaning -- "Lead me from darkness to light". This is a mantra from one of the principal Upaniṣads, viz., the Bṛhadāraṇyaka, 1.3.28 which forms part of the Śukla-Yajurveda. Though the context in the Upaniṣad is something different, the literal meaning very aptly suits the occasion.